← Spot Removal before Chem-Dry Arrives at your home! There's a little bit of everything on this living room carpet...pop, paw prints, spilled yogurt and a lot of teenage living! 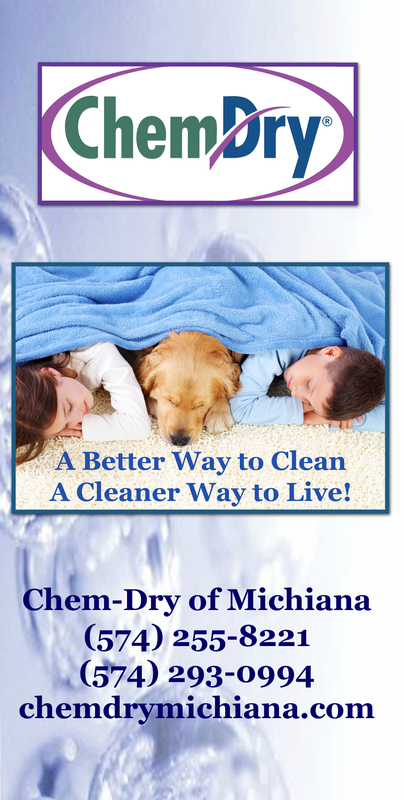 Chem-Dry of Michiana Before and After! This entry was posted in Carpet Cleaning and tagged carpet cleaning, Carpet Cleaning Elkhart, Carpet Cleaning South Bend, elkhart carpet cleaners, speciality spot removal, spot removal. Bookmark the permalink.